We are all busy, running from one place to another. We’re also trying to think of ways to simplify our lives. One of the most hectic places in the home is the kitchen. You know the morning routine, the hustle and bustle as everyone tries to get out the door. 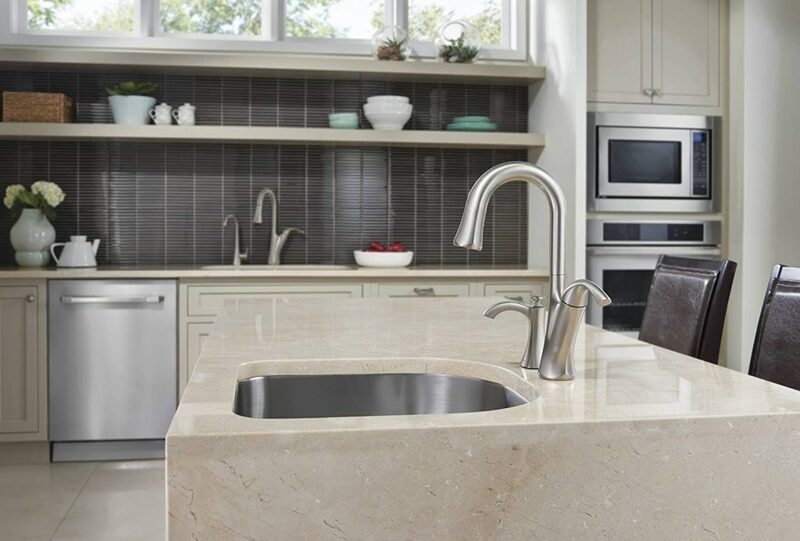 Imagine having a touch-free faucet in your kitchen. If your child forgets to turn off the water, or simply can’t reach, you don’t have to worry. 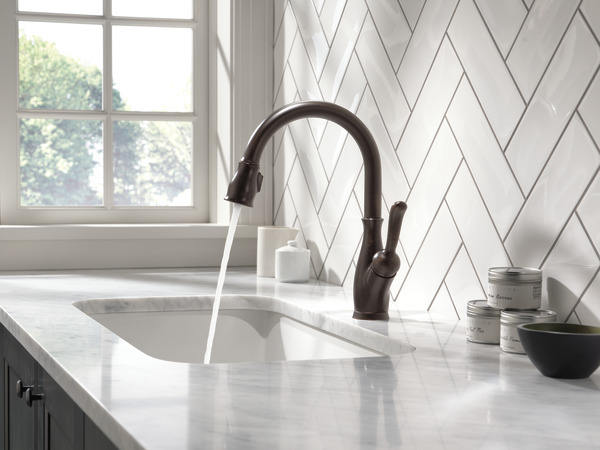 Here are some reasons why you might consider adding a touch-free faucet to your home! 1: Consistency: The handle on the side offers familiar manual operation, allowing you to adjust the water temperature and flow. 2: Availability: Touch-free faucets are always ready. A ready-sensor makes it easy to wash your hands, or fill a cup. 3: Easy cleaning: Because the faucet is touch free, it means less cleaning and will also help prevent the spread of germs in your home. 4: It’s responsive: Simply wave your hand over, or under the faucet for it to turn on. 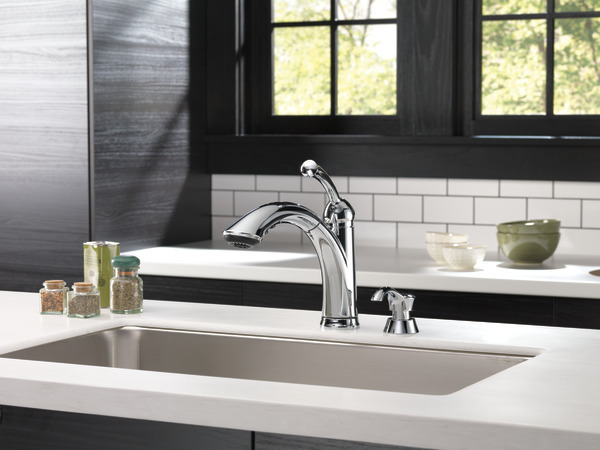 5: Clean up is a breeze: The faucet will often come with a pull out sprayer, making cleaning up tasks easy in your sink! 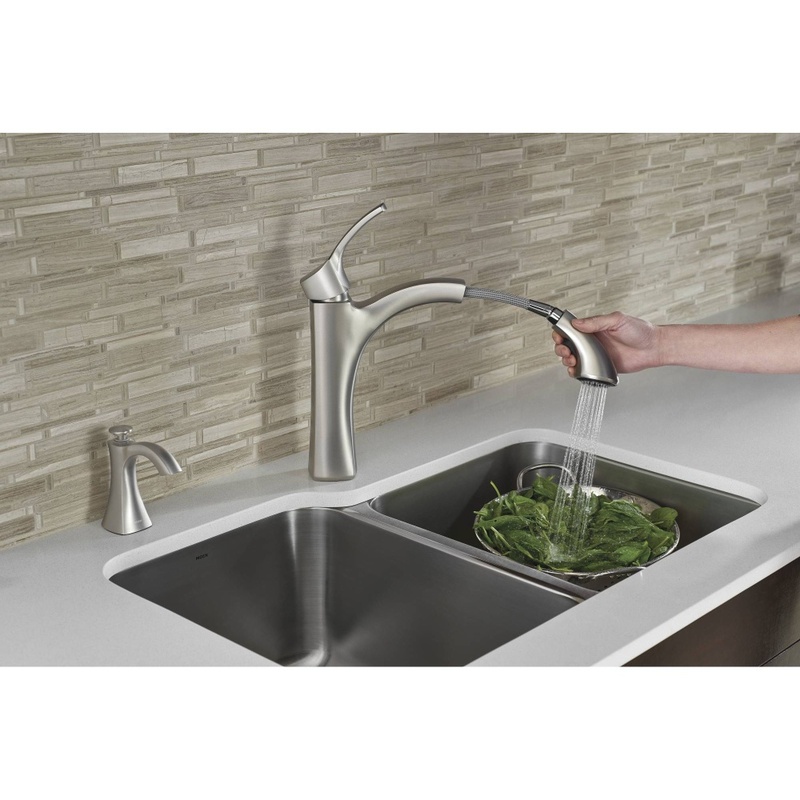 Touch-free faucets come in variety of stylish designs and color schemes. 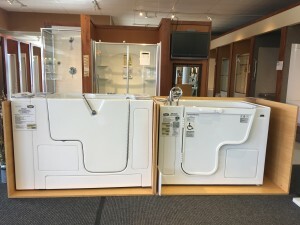 Be sure to do your research to find out which one will fit your needs and your space the best. 1. Upgrade your toilet seat. Is your toilet seat chipped, cracked or discolored? Is it always shifting an inch to the right or left when you take a seat? (Annoying!) Or perhaps you purchased a cheap wooden one a long time ago and it’s time to upgrade. 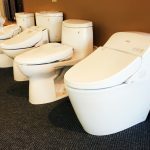 In addition to sturdier plastics and more polished looks, some toilet seats have features that will make you wonder, “Why didn’t I think of that before?” Lighted seats, potty training seats and bidet washing seats are all available today. 2. Replace your bathroom faucet. 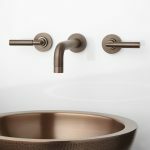 Bathroom faucets come in all shapes, sizes, and finishes these days. Grime builds up, finishes rub off, and colors go out of style when it comes to faucets. 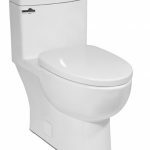 With a variety of finishes and designs to choose from, it can be a quick way to update the look of your lavatory. 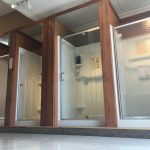 Choose something trendy, like oil rubbed bronze, or opt for something that pairs nicely with the other hardware in your bathroom. 3. Brighten up your bathroom with a new light bar. Updated lighting will impact how everything in your bathroom looks. Transform a small or low-light area to a welcoming room with proper illumination. 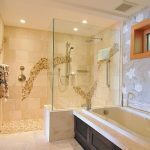 Whether you’re looking for new shape bulbs or to shine more light over the mirror, lighting can make or break the functionality of your bathroom. Men like shaving in a well-lit space, just like women prefer not to apply makeup in a bright, clean environment. 4. 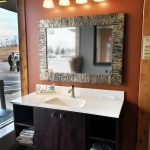 Install a unique or neutral mirror. Replacing an old mirror is simple. It doesn’t cost much and requires minimal handyman skills. 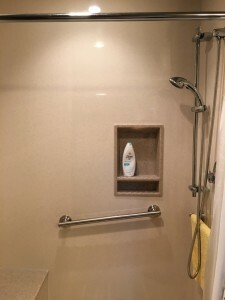 If you have a surface mounted medicine cabinet, you can also replace it with a mirror. 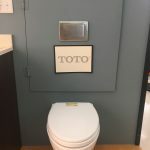 You just won’t have as much storage space. If you have a recessed medicine cabinet that’s embedded into the wall, hanging a mirror will be a little more tricky but it can be worth the effort. By opting for a mirror, you can choose from many fun shapes, sizes, and colors. 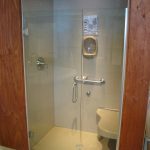 Or you can keep it neutral by going with a frameless glass look one that coordinates with anything. Keep the width of your vanity in mind when selecting a mirror. In most instances, it should not exceed the width of the vanity. 5. Swap the handles on your vanity. 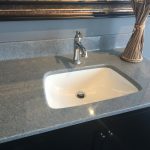 Not everyone wants to replace the entire vanity to achieve a look that’s in style. The easiest way to update your vanity is by replacing the handles. Find pieces that match or complement the other hardware in your bathroom. You can also take your bathroom re-fresh a step further by painting your vanity. If you do this, be sure to use quality paint made for moist environments. You’ll also want to ensure you’re doing this with a sturdy vanity. Not all vanities are created equal. 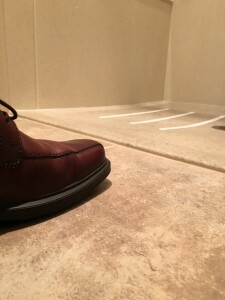 And because low-quality vanities are more often more susceptible to water damage, you’ll have to use your best judgment on whether or not to replace it, or paint it. 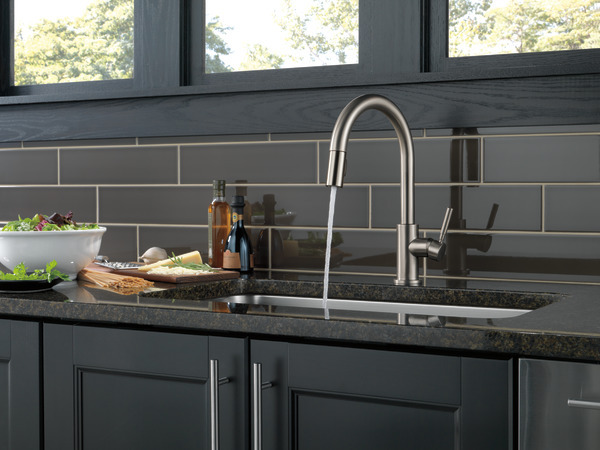 Before you buy a run-of-the-mill kitchen faucet, first consider the benefits of a pull-out or pull-down faucet. 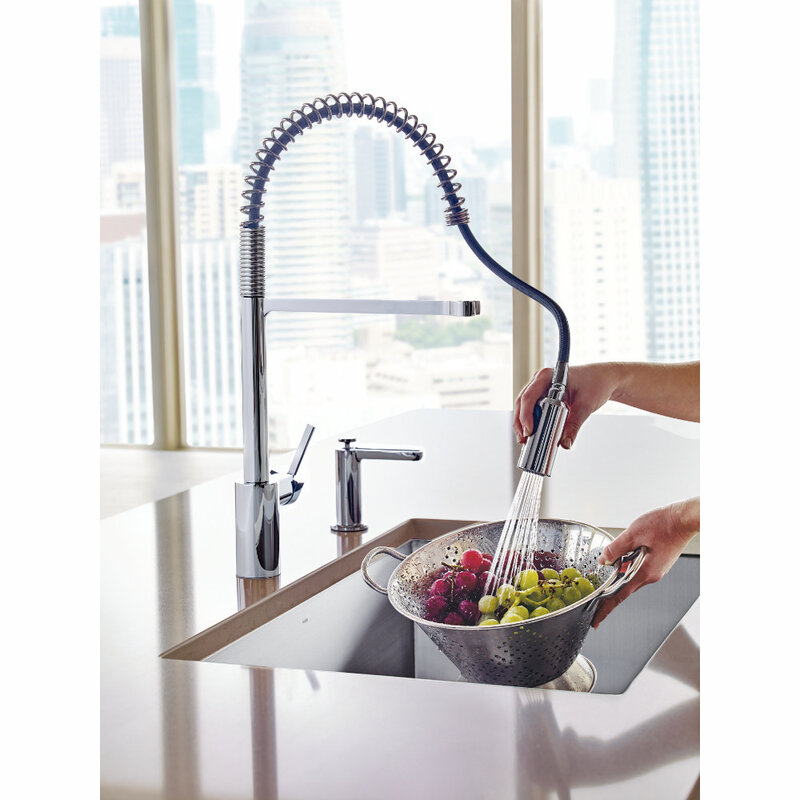 Do you need a faucet that can reach every area of a sink or even an adjacent counter? Do you wash a lot of produce or find yourself constantly filling up pots, glasses, and vases? If so, a pull-down or pull-out faucet can help make your kitchen tasks quicker and easier. What’s the difference between a pull-down and pull-out faucet? 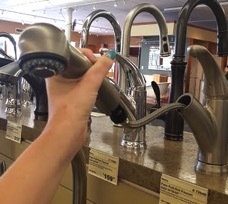 With a pull-down faucet, the spray wand is an extension of the faucet that you can literally pull down, whereas you need to pull out a pull-out spray wand. 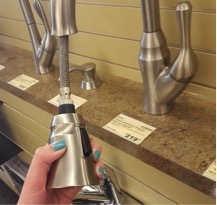 A pull-out wand can also be a part of the faucet or mounted separately on the sink ledge. What you choose depends on your personal preference, but there are some key quality indicators that you should look for. If you want a full handle, you’ll want a pull-out wand. If you don’t need a full handle, a pull-down won’t give you as much space to grab onto the wand. However, it’s more ergonomically correct to pull down. 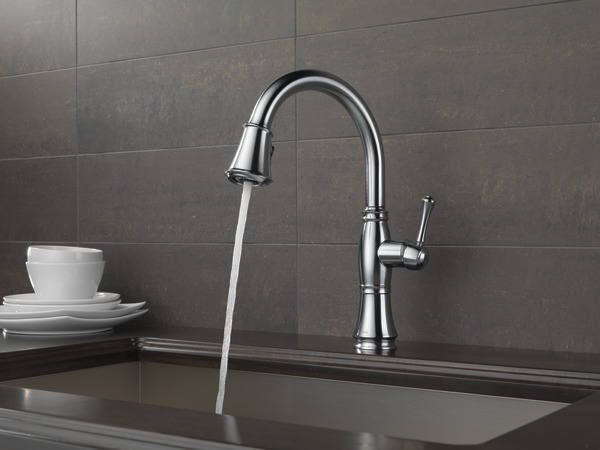 When making a decision about a pull-out versus a pull-down faucet, first consider your sink depth and water pressure. 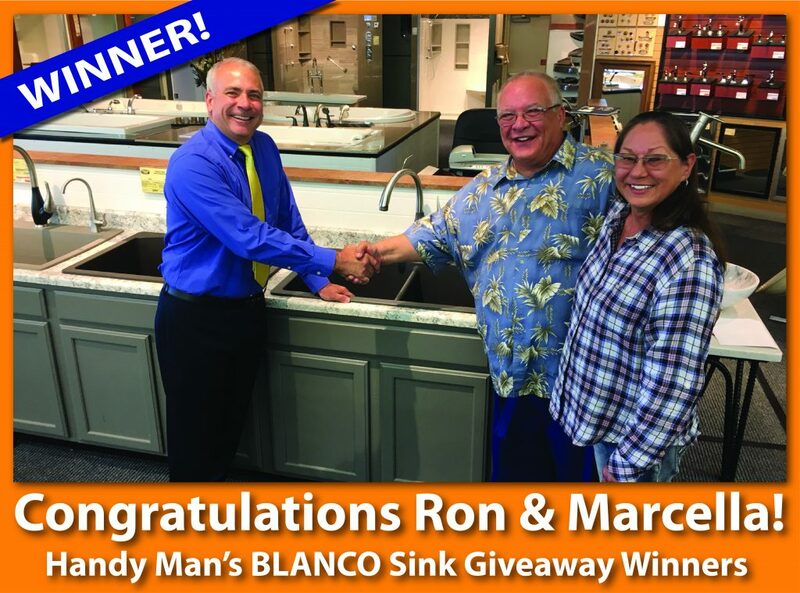 It’s recommended that you have a deep sink if you’re installing a pull-down faucet to prevent splashing whereas a pull-out faucet will work in all sink sizes. First, observe how long the hose is. 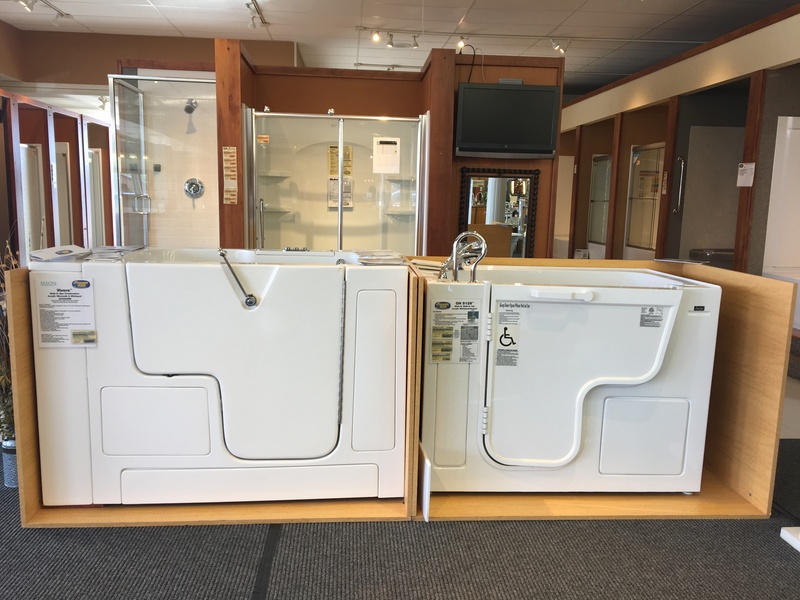 Is it going to extend far enough to meet your needs? Then, see how the hose retracts. 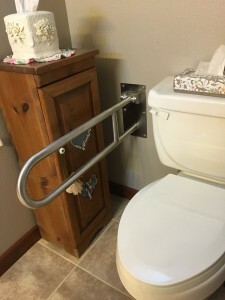 Do you have to manually slide it back into place, or does it glide smoothly? Finally, once the hose and faucet head is back in place, does it stay? You don’t want it to be loose and spray water everywhere. Manufacturers like Delta® use a magnetic lock (Delta® calls theirs MagnaTite® docking) to ensure the spray wand stays firmly in place when not in use. How well the spray button functions on your pull-out or pull-down kitchen faucet will impact your overall satisfaction. Test out the button before you buy. How easy is it to switch between modes? Some buttons push in, while others click, almost like a switch. How many modes are there? 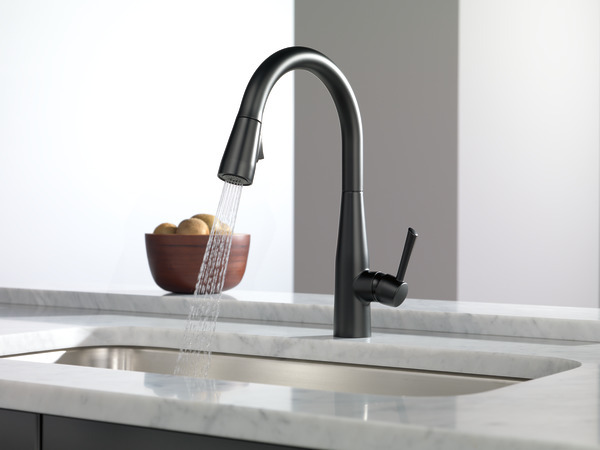 Oftentimes, pull-down faucets will have more spray types and pressure options. Some even let you widen or narrow your spray stream. With the pull-down style, you’ll have easy access to the spray button, which allows you to switch spray modes. Also, because the pull-down faucet has a raised, curved design, filling up tall items, like a pitcher or vase, is a breeze. 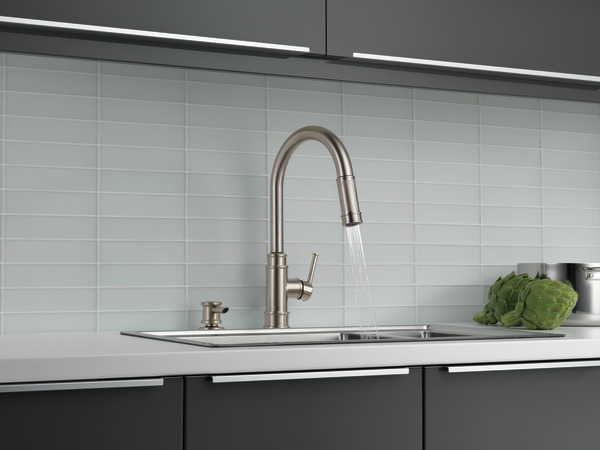 Even with a pull-out or pull-down faucet, you’ll find other features to make your kitchen seem state of the art. 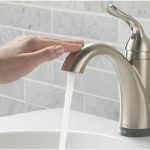 During your search, check out technologies that allow you to turn your faucet on and off without using your hands. This feature also reduces germs in the kitchen. 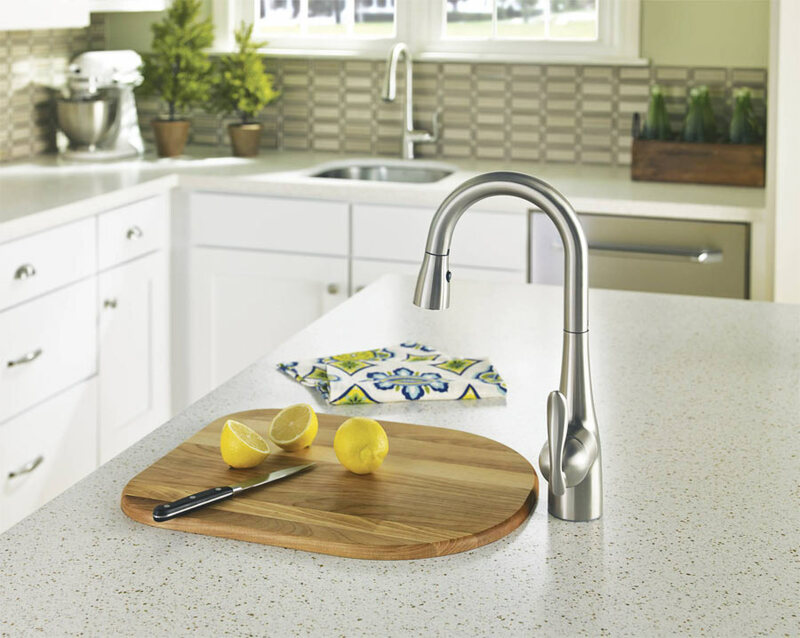 With Delta® Touch2O® Technology, you just have to tap the faucet with your wrist. Similarly, Sensate by Kohler® uses Response™ technology. Simply wave your hand above or in front of the faucet to activate it. 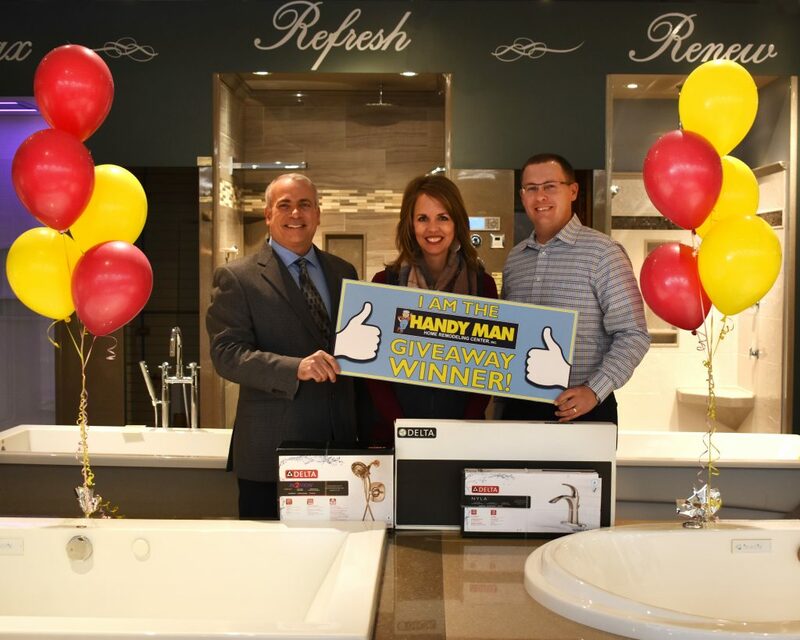 Shopping for a kitchen faucet can be a fun experience—especially at Handy Man where you can test out several types with our working water displays. 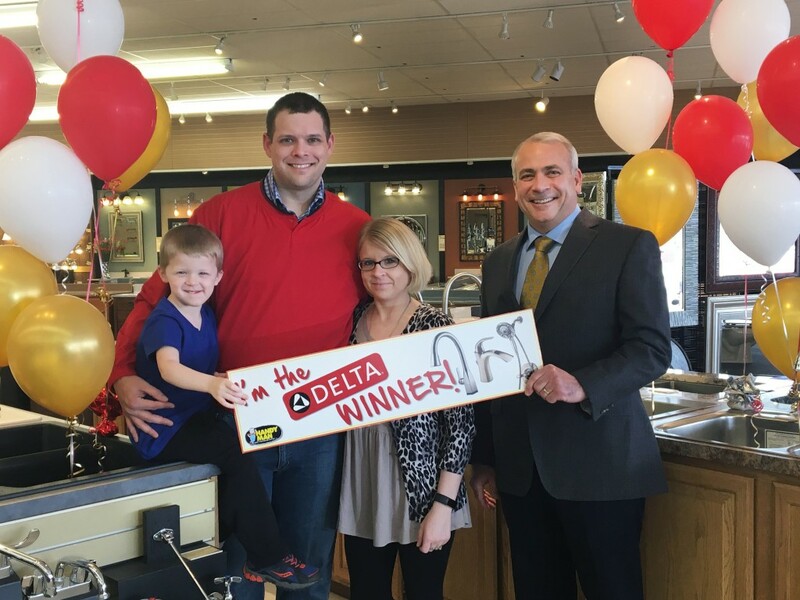 If you have any questions about pull-out or pull-down kitchen faucets, or need recommendations, stop by our store in Sioux Falls, SD; Sioux City, IA; or Lincoln, NE. We’ll walk you through it.